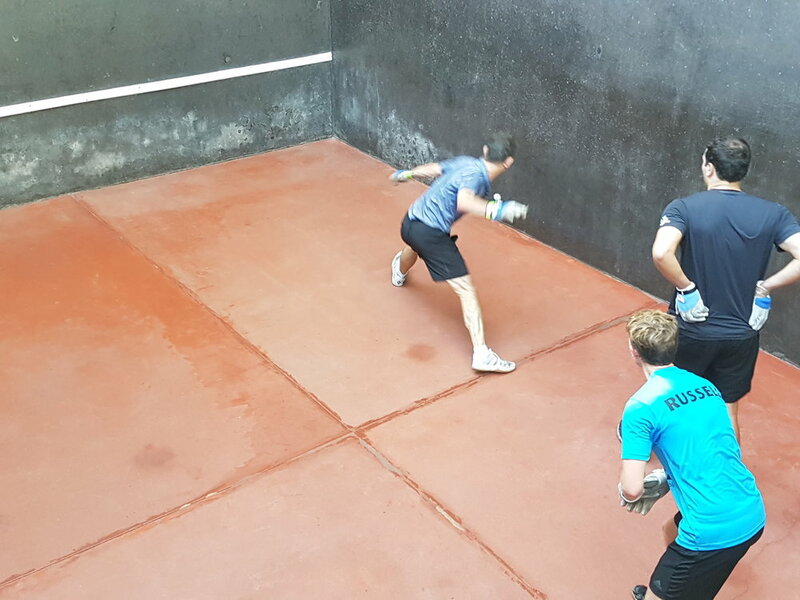 Despite Dan Tristao and Will Ellison missing this fixture for the first time we had an excellent match on Sunday at Winchester College. 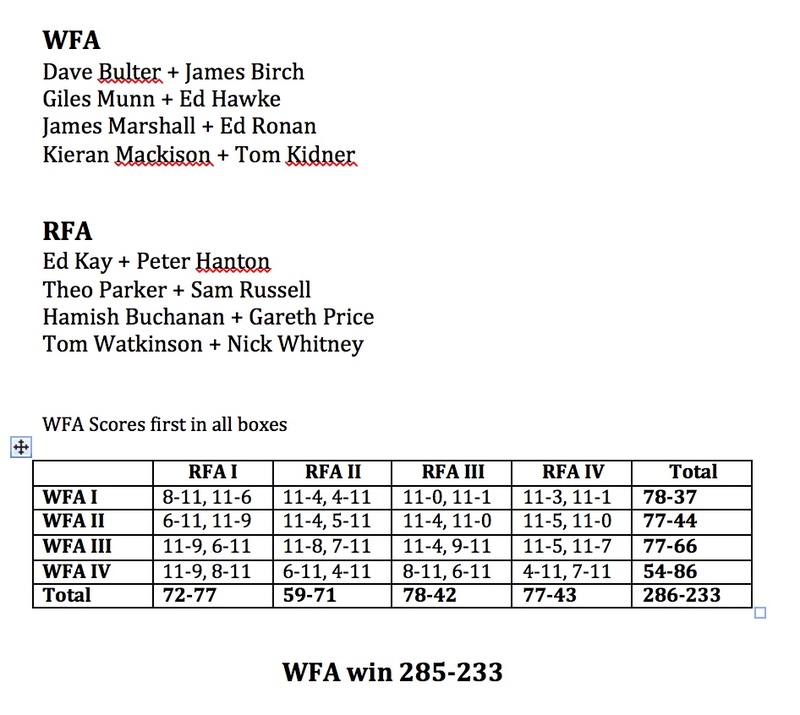 The RFA have got the better of the Winchester Fives Association the last couple of years but this time the WFA edged out a very evenly matched game. No pair won all their games and all pairs won some. There were 4 old Bradfieldians on show for the WFA with James Birch being the dark horse and hitting the ball as cleanly as he always used to. 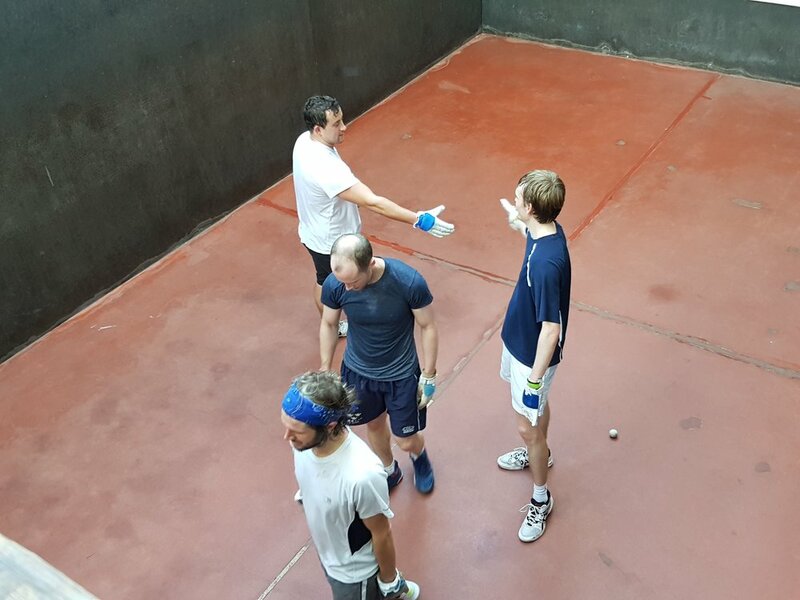 Old pairings of James Marshall + Ed Ronan plus Kieran Mackinson + Tom Kidner (last year’s schools champions) were reunited so the WFA were able to use their ‘home advantage’ knowledge of the Winchester fives courts well. The overall scores in this excellent tight series now stands at 4-4 with the total of points won by the RFA being 1963 edging the 1943 won by the WFA….. 20 points over 8 years! The hard work of all was once again rewarded by lunch in the sun at the Queen.